Due out in March 2019 in Japan. The latest issue of Weekly Famitsu reveals Winning Post 9, the latest entry in Koei Tecmo’s horse racing simulation series, for PlayStation 4, Switch, and PC. It will launch in March 2019 in Japan for 8,800 yen. 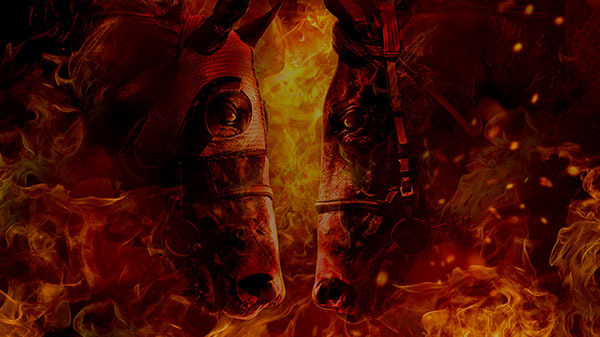 Winning Post 9 is the announcement first teased by Koei Tecmo last week. Racing scenes have dramatically evolved. The bonding element between jockey and horse has turned into commands. “World Suitability” is a new element that displays breed suitability in Japan, America, and Europe. In Rival Showdowns where enemies are also backed by strategies, the racehorses’ fighting spirits will fluctuate depending on the outcome. “Rival Showdowns” are showdowns such as Mejiro McQueen vs. Tokai Teio that show the scenes and rival trends of the battle, and include new elements like fighting spirit. Rivals are not limited to horses. Unique characters will also appear. Horse owners, animal trainers, and jockeys will all appear as part of the rival camp. Use bond commands to secure your victory.